When all is said and done, virtually all humans have two things in common. 1) Almost everyone is searching for a 'better life', if not a perfect one. 2) No one wants to die - our spirit rebels at the thought that no matter what we have accomplished in our seventy odd years here on earth, we are eventually going to become worm food. However, if your defenses are well honed and you claim to be satisfied with the short life given to you then don't bother with this article It is written for those who do not wish to arrive at death's door without being certain of where it leads. The fact is Christianity alone offers you something you cannot get anywhere else - life without end in God's kingdom. In fact, Jesus said the reason He was sent to earth was to announce this Kingdom which, by the way, is no pie in the sky ethereal place 'somewhere out there' but matches, in every respect, the world most men and women would choose to live in. However, there is one stumbling block that keeps you (and everyone else) out of God's kingdom. One of the most important factors in sharing your faith with a Mormon (officially known as the Church of Jesus Christ of Latter-day Saints) is your sincere friendship. Usually former LDS tell me that they had a close friend that talked to them about the Lord. This friend acted as a bridge between Mormon assumptions and explaining what the Bible actually says. Usually Mormons will already view themselves as Christians and will accept you as one as well. However, they would see you as only having one fourth of the gospel while they have the whole package. Your faith in Christ, according to them, assures you of a place in heaven. However, in order to go to the highest part of heaven, the Celestial Kingdom (godhood, exaltation), you would need to have a Mormon baptism and a Mormon temple marriage. (See Road To godhood.) They believe that if you don't join the LDS Church during this life you will be given a chance to accept it during the millennium. Remember that they view you as the one with the defective belief system. You have only the Bible (which accounts for your "limited" understanding) while they have additional light from their other scriptures, the Book of Mormon, the Doctrine and Covenants and the Pearl of Great Price. Beyond this, they also have the teachings of their prophets. Keep in mind that we are part of a process. Paul wrote: "I have planted, Apollos watered; but God gave the increase." (1 Cor. 3:6) It may take several encounters with various Christians before the Mormon will seriously start re-evaluating his/her beliefs. Pray that God will continue to bring Christians into the Mormon's life. When opportunities arise for you to talk with Mormons about their beliefs, remember to show them the same respect and courtesy you would expect from them. Be sure to display confidence (not arrogance) in what you discuss. Mormons tend to interpret any timidity as evidence that you do not speak with the authority of God. Since Mormons tend to feel any challenge to their church is a form of persecution we must be careful how we approach them so that it will not reinforce this perception. Joseph Smith claimed in his first vision which is printed at the back of their Pearl of Great Price, that God informed him all other churches were "wrong" and that "all their creeds were an abomination in his sight." Since Smith was the one who first attacked all other churches, we are simply responding to his charges. Merely comparing belief systems is not "persecution." Importance of the Book of Mormon? Since the Introduction to the Book of Mormon states that it contains "the fulness of the everlasting gospel" can you give me verses that teach the doctrines of pre-earth existence, plural gods with wives, temple marriage, chance to repent after you die, temple rituals for the dead, three levels of heaven, etc.? If you truly believe the Book of Mormon, doctrinally, how do you accept the Doctrine and Covenants or Pearl of Great Price since these books teach different concepts? What specific doctrine of Mormonism is in the Book of Mormon that isn't in the Bible? Does translation always lessen scripture's value or change its teaching? What about the Book of Mormon? How many translations have been made of it? Is it less reliable in French or German? Does the church put a disclaimer on the Book of Mormon in other languages as they do with the Bible? If not, why not? If professional LDS translators can reliably take the English Book of Mormon into French, why can't professional translators take the Greek New Testament into English? If the Bible is in such bad shape, which verses are wrong, so I won't use them? Mormons will often claim the Bible is incomplete, that various books have been left out of our current Bible. Why doesn't your prophet restore the lost books or correct the translation? If your prophet has not felt the need to restore these missing books of the Bible how important can they be? Which books were left out? Which ones should be added? Joseph Smith did a revised version of the Bible, why doesn't the LDS Church print it? They print extracts from it at the back of their Bible - why not use the whole thing? Smith did not add any lost books to his revision. In fact, he left out the book Song of Solomon. D&C 7:1-3 1 AND the Lord said unto me: John, my beloved, what desirest thou? For if you shall ask what you will, it shall be granted unto you. 2 And I said unto him: Lord, give unto me power over death, that I may live and bring souls unto thee. 3 And the Lord said unto me: Verily, verily, I say unto thee, because thou desirest this thou shalt tarry until I come in my glory, and shalt prophesy before nations, kindreds, tongues and people. ...but was to remain on the earth to "prophesy before nations." Besides John, three of the twelve disciples in the Book of Mormon were granted their desire to remain on earth, to "bring the souls of men unto me," until Christ's return. With four apostles remaining on the earth, how could there have been a total apostasy? Mormonism also teaches that the true church will have the same structure as Christ instituted. Thus they argue that the true church will have twelve apostles at its head. However, the Mormons do not conform to their own standard as they have three apostles in their First Presidency as well as their twelve, thus making fifteen apostles at the head of their church. Also, Deacons were to be mature men, not twelve-year-old boys (see 1 Tim. 3:8-12). Mormons will often say that the Christian world is too divided to have the truth. Yet there have been over 100 different churches claiming Joseph Smith as their founder. (See the book Divergent Paths of the Restoration.) Many of them have totally different beliefs from the others. Obviously, LDS scriptures did not solve the problem of division. However, the Christian looks to such verses as Matt. 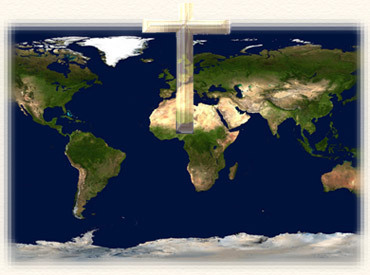 18:20 where Christ promised that where two or three are gathered in His name, He is in the midst of them. The Mormon does not understand the Christian concept of all believers constituting the church. In Eph. 2:20-22 Paul points out that Christians "are built upon the foundation of the apostles and prophets, Jesus Christ himself being the chief cornerstone; in whom all the building fitly framed together groweth unto an holy temple in the Lord: in whom ye also are builded together for an habitation of God through the Spirit." Thus the question is not whether you are member of the right denomination but are you trusting Christ's atonement to make you right with God? I've been told that LDS people believe God is continually giving new revelation to their prophet. How do you guard against false teachings? If your prophet gave a revelation that differed from church teachings in the past, how do you determine which to follow? Christians hold their ministers accountable to the Bible. (See Galatians 1:7-12 and 1 John 4:1) The early Christians compared Paul's teachings with the Old Testament in Acts 17:11-12. What is the standard for Mormons? They may counter with something like: "God has promised he will never let the prophet lead us astray." Then why is there provision made in the Doctrine and Covenants Sec. 107:81-83 to replace a fallen prophet? Jesus warned about false prophets in Matt. 24:11 and 24. Mormons point to Amos 3:7 to prove that God will always have a prophet leading the church. However, this is taking the verse out of context. God promised that he would not send judgment without giving a warning first through a prophet. If only the president of the LDS Church can receive revelation for the church, why are the books of the New Testament written by different people? Even Mormons agree Paul was never the head of the church. Shouldn't the apostles of Mormonism be as authoritative as Paul? If Mormons don't accept all the doctrines of their prophets and apostles, how does one know which teachings to accept and which ones to reject? They usually counter that you know through prayer. But don't their apostles pray before preaching? How can a lay member expect to get greater discernment than those ordained by God? Can the Mormon cite an example of a doctrine that their prophet or apostles taught which they can openly reject? If you bring up a doctrinal issue like Brigham Young's Adam-God doctrine they will often counter that that was Young's personal idea and not official doctrine even though he taught it from the pulpit. Then what constitutes "official doctrine"? The Mormon will usually counter that doctrine must be voted on by the church and canonized. Doesn't this establish that one of their prophets could give a false revelation? Then couldn't he lead the people astray? Another question is why does the Doctrine and Covenants only have four sections by prophets other than Joseph Smith? Why has no revelation been added since 1978? Is God no longer giving revelation to their president as he did in the beginning? If a Mormon says that their prophets still get revelations, ask where they are printed. Why don't they canonize them? Are they approaching a closed canon concept? Mormons will often say, "Why can't you accept us as Christians? We believe in Jesus as our savior." However, there are problems with both their definition of "saved" and their concept of Jesus. Mormonism limits the result of the Fall, saying that it brought mortality but not a sinful nature as man is supposed to be a god in embryo. They limit the atonement, saying it brought resurrection (or immortality) to all, but to go on to "eternal life" or "exaltation" one must be a faithful Mormon thus adding works to grace. They believe they commit sin but don't understand man's basic sin-nature. They make a distinction between being "saved" (resurrected to some level of heaven) and having "eternal life" (exaltation, godhood). A good example of the Mormon concept of the atonement is found in a parable by Apostle Boyd Packer in Gospel Principles, pp.75-77, 1997 ed. According to his parable, Christ's atonement was like someone refinancing your huge debt. Your friend pays off the loan for you but you then must make payments to him. From this parable we see that Mormons do not see the atonement as a total payment for their sins, they must continue to make payments. Jesus has only refinanced the loan. Thus the atonement was necessary but did not fulfill all that was required for eternal life. Apostle Packer's story is helpful in contrasting the Mormon concept of the atonement with that of the Bible. When discussing grace with them you could also ask about 2 Nephi 25:23, "by grace we are saved, after all we can do." If grace only applies after all you can do, how do you know when you have done enough? Have you truly done ALL you could do? If not, then it would seem that grace would not apply. That is why a Christian rejoices in grace (unmerited favor) as presented in the Bible. We need to explain that good works are a result of grace, not a way to achieve it (Gal. 5:22-23 and Eph. 2). One doesn't earn or pay for a gift. You will need to explain that grace is not a license to sin, that those who truly love God will want to please Him. Since Mormonism teaches that almost everyone will be saved (resurrected) to some level in heaven, how do they reconcile that with Matt. 7:13-14? Jesus taught that only a few would gain heaven. They seem to have reversed the broad way and the narrow way. If a temple marriage is necessary for eternal life, why isn't it ever mentioned in the Bible (or the Book of Mormon)? Jesus taught that there would be no marriages in heaven (see Luke 20:34-35). Can you show me a verse in the Bible (or Book of Mormon) where baptisms or marriages were ever performed in the temple? What is required to achieve eternal life in Mormonism? Have you met all of those requirements? If you died today do you know that you will have eternal life? Point out that the Christian has the assurance of eternal life through faith in Christ, not church activity (see 1 John 5:13). Mormonism teaches a totally different concept of God. However, rather than trying to explain the trinity to them, I focus on the basic nature of God the Father. Joseph Smith taught that God was once a mortal on some other world, which was ruled by yet another deity. (See Smith's sermon on the nature of God in History of the Church, vol. 6, pp. 302-317 [King Follet Sermon], or Teachings of the Prophet Joseph Smith, pp. 312, 342-354*, 370-373) Each god rose from mortality to immortality and earned the position of a god. He does not surpass the previous god, but is forever under his direction. It is sort of like an eternal pyramid system, or escalator, with each god answering to the one above him. If the Mormon denies this teaching ask him if he has read Smith's sermons on God. If Smith's doctrine of God is wrong he falls under the condemnation of Deuteronomy 13, a false prophet leading the people after a false god. (See our sheet LDS View of God Contradicts the Bible.) How do they reconcile Smith's doctrine of multiple gods with Isaiah 43:10-11 and Isaiah 44:8? *These pages are a reprint of the King Follet Sermon, which can found in History of the Church, vol. 6, pp. 302-317. If you were lost in the woods would you trust your feelings or use a compass? Christians use the Bible to determine truth, not feelings. While Christians value prayer and seek direction from God, this is not the Biblical method of testing a prophet. Every leader and doctrine must be examined in light of the Bible. Remember that your life is already a witness to your LDS friends, one way or another. If they say you would make a good Mormon, take comfort. Your lifestyle is seen to be consistent with your claim to be a Christian, they just want to give you the rest of the gospel. Challenge them to study the Bible (Acts 17:11-12). If Mormonism is a restoration of Christ's church, it will agree with what God has already revealed. Challenge them to think for themselves. Truth will stand up to investigation. A Mormon quickly senses if you are talking from genuine concern and conviction, or if you just want an argument. Check your motives and attitude (see 2 Tim. 2:23-26 and Titus 3:2-9). As ambassadors for Christ we are to share His love and redemption.